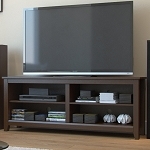 Accommodates most flat-panel TVs up to 50 in. Solid construction supports 250 lbs. 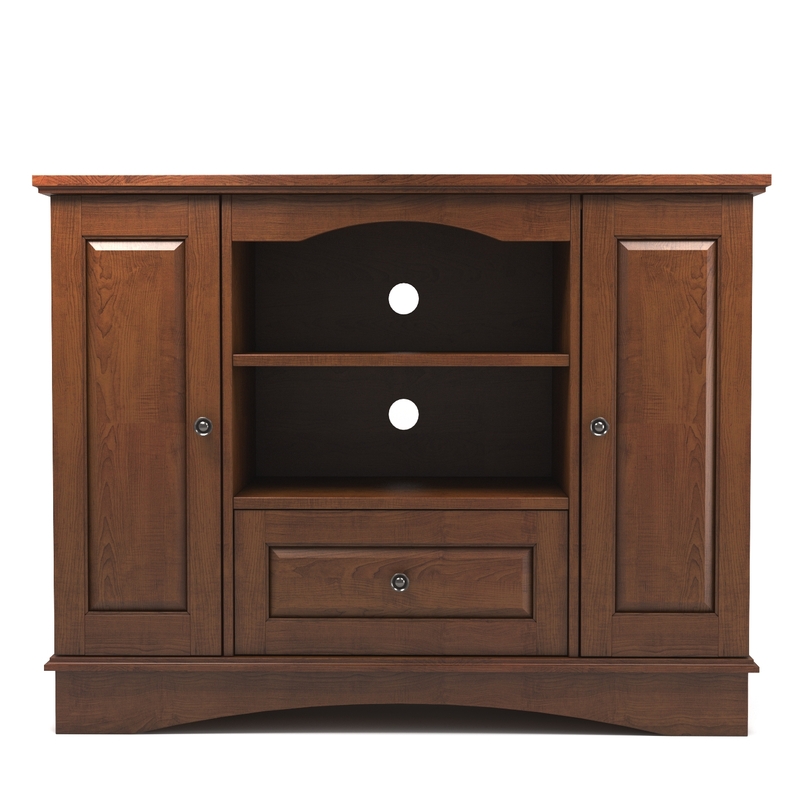 The Ryan Rove Kaydon 42 inch bedroom TV console with media storage in traditional brown is a contemporary highboy style wood TV stand . 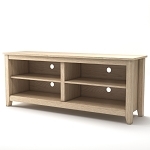 It is designed and produced from the highest grade of MDF wood solids. 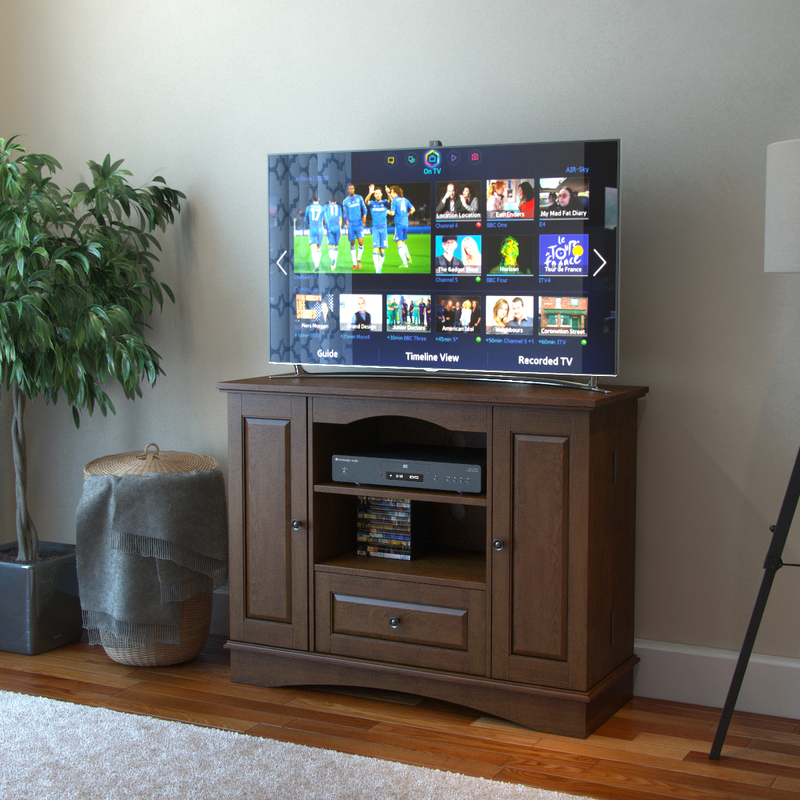 It can accommodate all flat panel TV's up to 50 inches. The unique height of this console makes it an idea entertainment stand for a bedroom or living room. 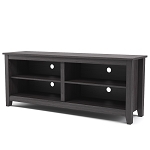 The center shelf is an adjustable shelf with a draw below. 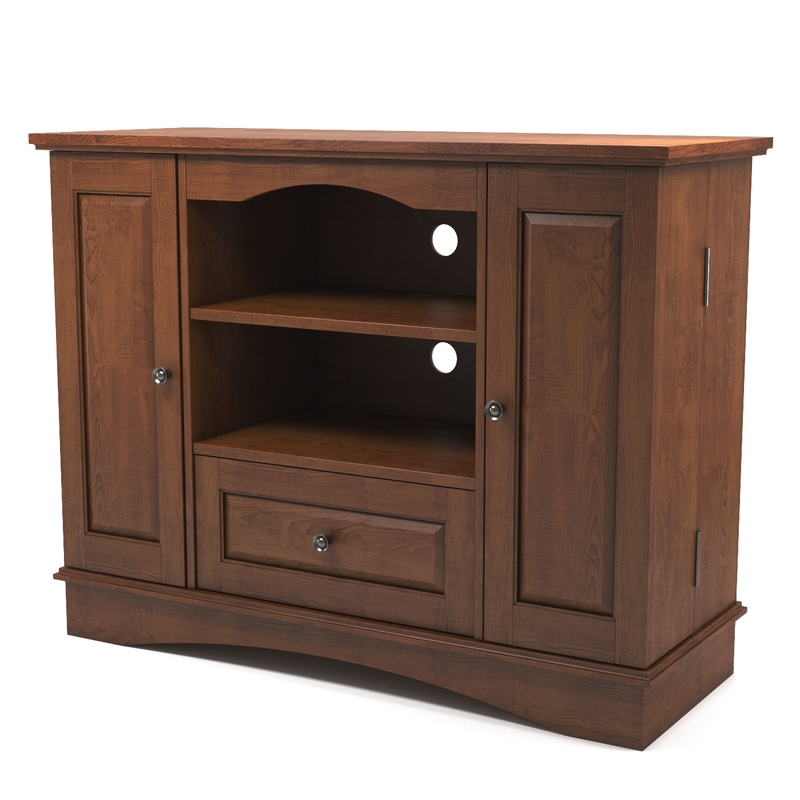 The two door storage sides are media storage cabinets that support a collection of 150 DVD's, CD's, games, or can be used as a bookcase.